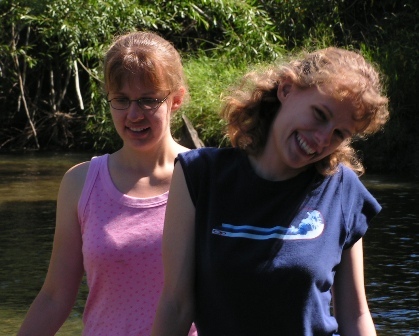 In this photo, I believe Sarah and Laura are twenty years old. Girls, it seems like forever since you both were in the family home, or as Philip calls it now, The Homestead. May the Lord continue to bless you as you go your separate ways. I miss you both! This entry was posted on Thursday, March 8th, 2007 at 6:07 pm	and is filed under Favorite Photos, Memories. You can follow any responses to this entry through the RSS 2.0 feed. Both comments and pings are currently closed. You’re right…two years ago makes quite a difference, these two years anyway.